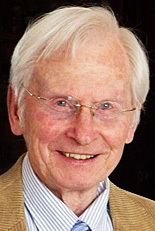 Professor Emeritus of German Hartmut Gerlach, who spent 28 years on the Lawrence University faculty, died at his Appleton home Wednesday, March 18. He was 85. Hartmut Gerlach spent 28 years teaching in the Lawrence German department. Born in Dresden, Germany, Gerlach joined the Lawrence German department in 1966, teaching language, literature — he was especially fond of Goethe’s “Faust” — history and culture until his retirement in 1994. He was well known for his innovative courses on the art of German cinema and his observations on the changing focus of German films after the collapse of the Berlin Wall. During his tenure, he served as director of Lawrence’s study-abroad programs in Germany, first in Boennigheim in 1968 and later in Eningen and Munich. He was appreciated by a generation of Lawrentians for whom he served as a solicitous guide for students exploring a new culture. 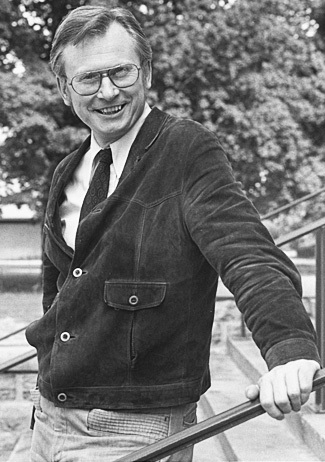 Professor Emeritus of German Hartmut Gerlach served as director of Lawrence’s study abroad programs in Eningen and later in Munich. Growing up in Germany under the Nazi regime, Gerlach was forced to join the Hitler Youth Organization as a 10-year old, something he detested. At the age of 14, he was put in charge of 25 10-year olds, but rather than indoctrinate them in Nazi ideology, Gerlach taught them German folk songs during meetings as a way to subvert the Nazi regime. As a youth living through World War II, Gerlach wrote numerous poems and short stories that reflected a deep love of nature, country and family. He studied psychology, psychiatry, pedagogy and philosophy at the universities of Zurich, Tuebingen and Goettingen and spent a year teaching at Trenton State College in New Jersey before completing his master’s and doctorate degrees in German at Indiana University. He is survived by his wife, Diane, and four children: Bettina; Peter (Cady); Pamela (Bobbie); and Loren (Susan); and two grandchildren, Katelyn and Nicholas. The family will hold a private service and have requested any donations in Professor Gerlach’s memory can be made to Lawrence University or any charity of the donor’s choice.